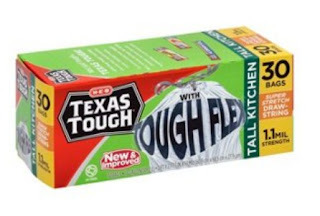 Check your HEB mobile app for a new digital coupon, good for $2 off your basket when you spend $2 or more on Texas Tough Flex Trash Bags! This coupon is limit one per customer and is good through April 3, 2018. 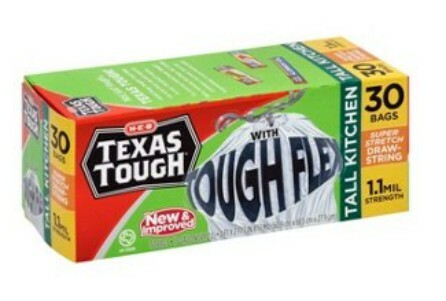 HEB Texas Tough Flex Trash Bags -- 30-count boxes priced at $5.68 each. 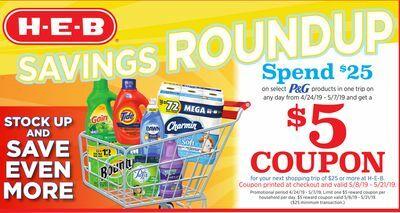 Enter in your digital app info at checkout to use your $2 off coupon. 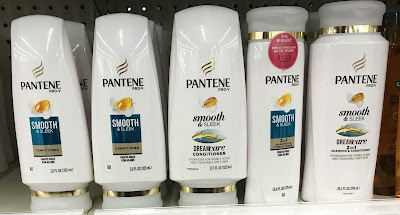 Your new price drops to $3.68! 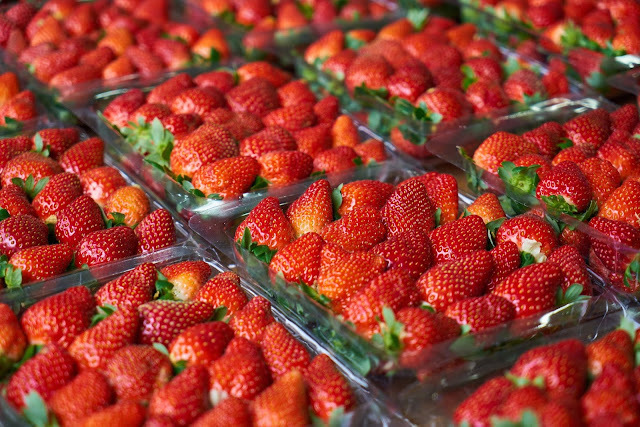 That's right at 12 cents per bag, which is a terrific price for trash bags.